Please welcome Dr. David El Fattal as the new Vice Chancellor of Business and Administrative Services. Dr. El Fattal brings 27 years of executive-level experience in California within community colleges, K-12 schools, and private industry to our District. Since 2010, David has served as the Vice President of Business Services and Assistant Superintendent at Cerritos Community College District. 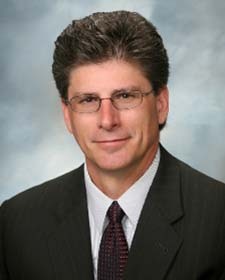 In his role as chief business officer (CBO), he provided collaborative senior administrative leadership across all business and administrative areas, including managing the District’s $270 million annual budget, fiscal services, risk management, operations, purchasing, and facilities management. He also managed $560 million in major construction programs. Dr. El Fattal earned an Ed.D. in Educational Leadership (with a focus on community college leadership) from the California State University, Fullerton, an MBA from Pepperdine University, Malibu, CA, and a B.S. in Business Administration from the University of Redlands, Redlands, CA; he also holds an Associate in Arts Degree from the Azusa Pacific University, Azusa, CA. Student centered, he has also taught graduate and undergraduate courses in economics, political science, and marketing as an adjunct professor at the University of Phoenix throughout Southern California. We are delighted that Dr. David El Fattal joined the District on June 6. His appointment further strengthens our District leadership team as we progress through accreditation and into the coming year. Our sincere thanks to David Keebler for his leadership and excellent contributions as Interim Vice Chancellor of Business and Administrative Services since July 2015. We appreciate the outstanding work Dave has done and wish him continued success as he returns to his post as Vice President of Business and Administrative Services at Ventura College.